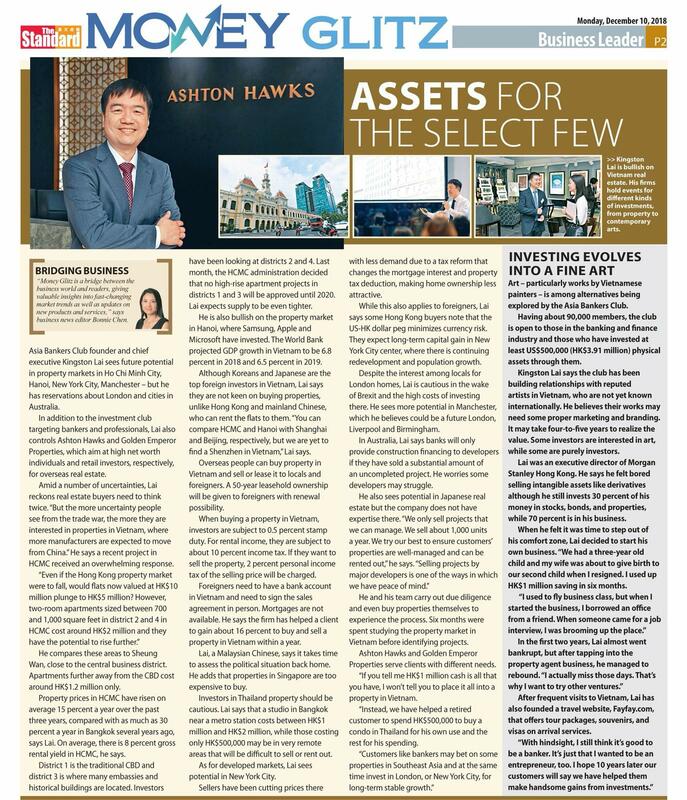 CEO and Founder of Golden Emperor Properties, Asia Bankers Club and Ashton Hawks, Mr. Kingston Lai, is featured on Hong Kong’s The Standard’s Money Glitz. In the article, Mr. Lai remains confident on the property market in Vietnam, where its GDP has soared and investors have been bullish in its long-term growth potential. He also provides valuable insights into investment markets worldwide including Thailand, UK, and USA, and warns investors to be cautious when investing in Malaysia and Australia. 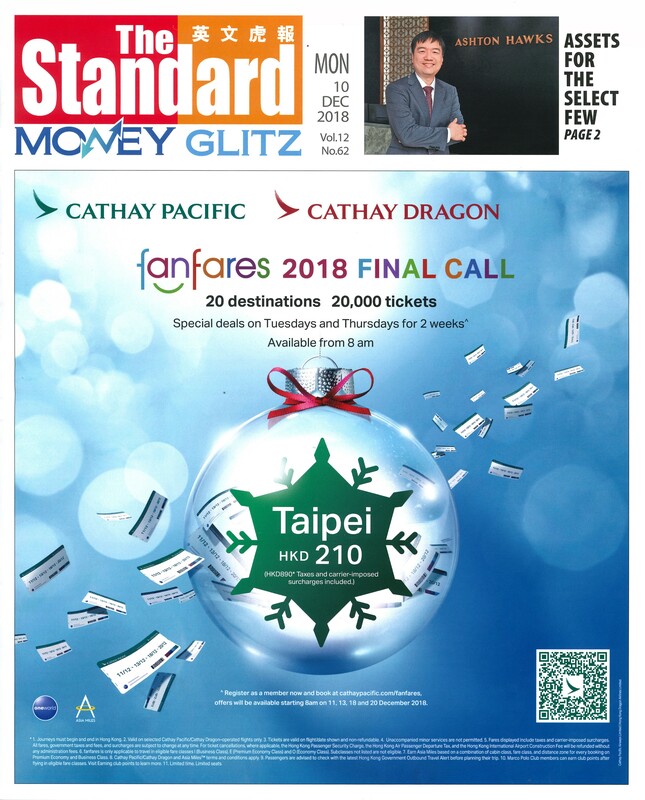 Mr. Lai further updates readers with news of the Vietnamese fine arts scene that he sees as an alternative investment in the next couple of years and the launch of his latest travel website, FayFay.com, which offers travel-related services in Vietnam.